Check your list once. Then check it twice. Do some Omaha shopping for those who are naughty and nice. Omaha is filled with holiday magic and entertainment to get the whole family into the spirit. 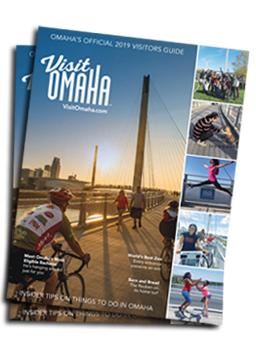 Request the free Omaha Savings Pack and get more than $300 worth of joyful savings to top Omaha attractions sent directly to your phone. Check out Special Holiday Offers for discounts, and the Book-a-Room feature to find a variety of Omaha hotel options at a price that fits your budget. Round out your holiday itinerary with festive Omaha Events, and feed your holiday cheer at an array of Omaha restaurants by browsing the Now Serving Omaha page. We’ve made it easy – click around, plan the weekend and jingle all the way to Omaha!